The American Jewish World Service (AJWS) offers individual and group service programs for Jewish people who are interested in traveling to foreign countries to volunteer for grassroots social change projects. The organization's mission statement outlines the approach saying: "AJWS is an international development organization dedicated to alleviating poverty, hunger, and disease among the people of the developing world regardless of race, religion or nationality. Through grants to grassroots organizations, volunteer service, advocacy and education, AJWS fosters civil society, sustainable development and human rights for all people, while promoting the values and responsibilities of global citizenship within the Jewish community." The AJWS offers multiple volunteer programs that are open for volunteers and include service with grassroots organizations in Africa, Asia, Central America, the U.S. as well as the Caribbean. Both working and retired professionals can join the Volunteer Corps, which includes two to 12 month-long placements in a number of different countries. Among the skills often needed are strategic and business planning, medical and public health training, fundraising, computer training, and community organization. Recent college graduates willing to volunteer for nine to 12 months may be eligible to receive a World Partners Fellowship. These are matched to the graduate's studies, skills and interest to better find a suitable placement for their particular interests and talents. While taking part in these programs, Jewish groups live and work in rural communities, participating in sustainable development and various projects for social good. For instance, the organization works to respond to natural disasters, fights for civil rights, promotes sexual health, and focuses on ending child marriages throughout the developing world. Participants are guided by community-based organizations found at the destinations they are visit during their volunteer service, which helps to acclimate them to the location when they are onsite. The AJWS also has summer programs that are open to young people between the ages of 16-24, This program includes volunteer work in rural areas of developing countries as well, providing opportunities to have an enriching experience while on a break from school. Once they return home, participants remain involved with the organization through retreats, speaking engagements, and additional volunteer service as well. Visit AJWS.org to learn more about what the American Jewish World Service is all about. On the organization's website, you'll find much more specific information about the kinds of projects the AJWS focuses on, as well as details about the various places that volunteers visit. Those countries include Kenya, Uganda, Senegal, India, Nepal, and even the United States. You'll also learn about how you can get involved, and what it is like to travel with the AJWS both at home and abroad. VolunTourism, which combines traditional travel with volunteer work, is a rapidly growing trend that allows socially responsible travelers to mix a vacation or trip abroad with volunteering on local projects. This is a great way for travelers to immerse themselves in local cultures and make a difference at the same time. Are you among the one-quarter of the travelers queried in the Voice of the Traveler survey by the Travel Industry Association who said they were currently interested in taking a volunteer or service-based vacation? Whether you're a millennial, a Gen-X-er, a Baby Boomer (the group expressing the strongest interest), or simply a parent who wants to introduce your children to other cultures, there is certainly a company or organization offering volunteer vacations that can make those aspirations a reality. These trips and experiences are as close as building homes in New Orleans or a far away as helping in orphanages in Romania or elephant camps in Africa. To see a list of organizations that offer volunteer travel trips and vacations (where you spend a few days of a trip volunteering and explore a new country the rest) click on Top Sources for Volunteer Vacations. 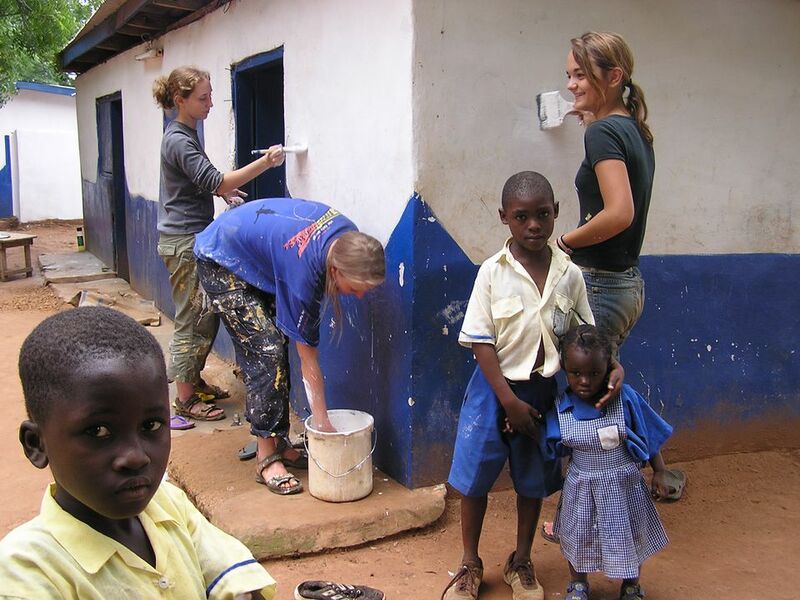 Returning travelers say volunteer travel is a life-changing experience that is tough to top. If you are wondering if voluntourism is right for you, we have some suggestions on questions to ask and things to think about. Click here to find out more information.